I have taken a photo a dayfor three years. Many times it's been 50+ shots to get the right one for a challenge - or just because. Often I've uploaded a diary shot and very occasionally a panic shot from the 'phone- just because. I've continued to gain and refine my skills, learning from the amazing people on this community, thank you all for answering my questions and letting me copy you. Tags this was accomplished in two shots and three hours to edit it! Well done, it takes a lot of time to keep it going. By the way I can see the support under your bottom! Congratulations Jackie! And to think it started out as a challenge to take just 30 photos. Congratulations Jackie! Great shots and edit! Well done! Fun photo too! Congrats, Jackie! So well done! Congratulations for finishing your third year, Jackie. This is such a great and fun shot. Great fun shot! Congratulations on your third year. @roachling you're my role model, how many years have you done? @farmreporter thank you, your monthly words keep me going!!! 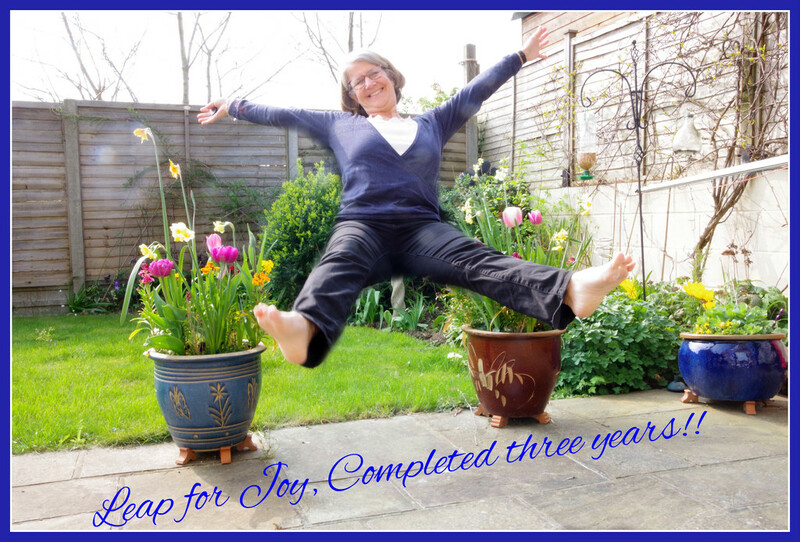 @gillian1912 you must be over three years of your daily shot? @davemockford that's my unicorn Dave!! well done at putting the effort in to get the obvious rewards! Very fun shot-well done. Congratulations on three years! I enjoy your sense of humor as well as your photography! Oh well done Jackie. I post a photo a day but no longer necessarily take the photo on that particular day. @30pics4jackiesdiamond Well, thanks! I'm in year 8 now.... I started 1st Jan 2012! Figured at this point I mat as well go for a full decade, haha! Well done! Love this photo - 3 hrs to edit - wow! Congratulations Jackie and this is a great shot to celebrate - well done!! Congratulations! And what a great celebratory picture! Congratulations Jackie. Great photo to celebrate Fav. @30pics4jackiesdiamond My 3 year anniversary will be 17th April, Jackie. Congratulations Jackie! I'm not sure I've done 365 days consistently during the 5+ years I've been a member. My DH helped me a lot with my photography and I miss that a lot. Haven't found anyone who is interested enough to do it. Hooray! Congratulations! Job well done. Hope you continue for a very long time.